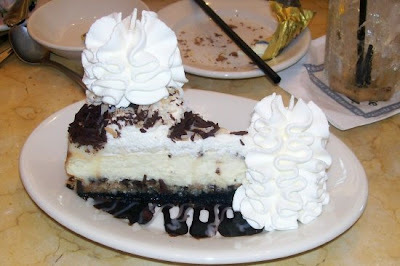 Mom Taxi Julie: Ummm Cheeeeesecake! 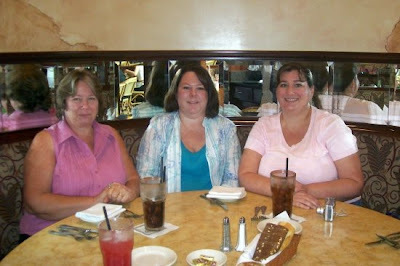 Today my Mom and I went to the Cheesecake Factory with my Aunt C for my Aunt's Birthday. Ummm yummm. I got the Chicken Parmesean sandwich (half of which is in the fridge for tomorrow's lunch!). It was soooo good. 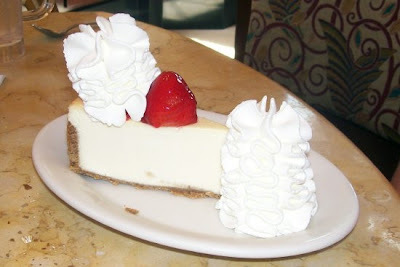 I only ate half to save room for cheesecake! 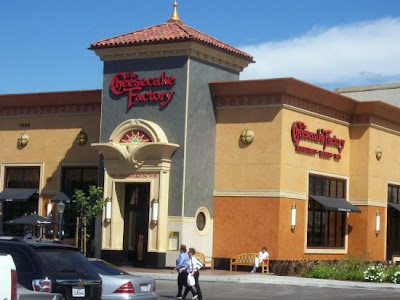 I got the Chocolate Coconut Cheesecake or something like that. and my Aunt got Turtle something. 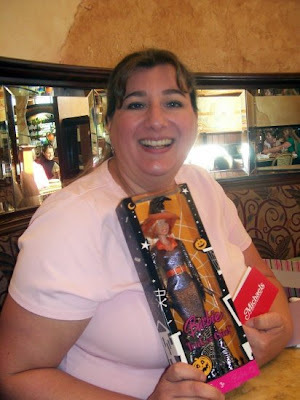 My Mom bought my Aunt a Halloween Barbie. LOL. My Aunt loves Barbies. 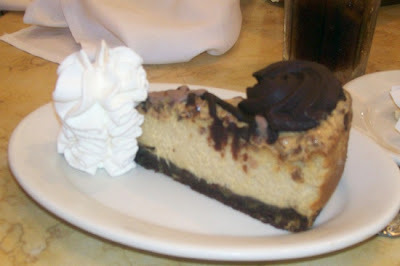 Chocolate coconut cheesecake ~ YUM! Cheesecake AND a Barbie. It must be some sort of heaven that I will get to, eventually.